Jinbao Street is a premier luxury shopping street in Beijing, like Rodeo Drive in Beverly Hills. In its two-block stretch there are three 4 or 5-star hotels and Bentley, Ferrari, Maserati and Mercedes dealerships. In my return this time, I found an Aston-Martin dealership in the lobby of my hotel, The Regent. Jinbao (translated as “golden treasure”) Street is the best-known destination for Beijing’s wealthiest shoppers. 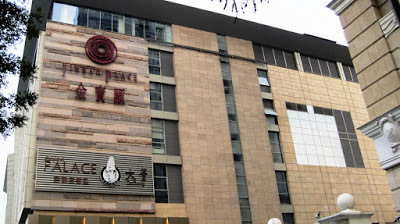 Seven years ago, I reported on a struggling three-year-old, 40,000 square meter (430,000 square foot) luxury mall known as Jinbao Place which stood largely vacant on this otherwise busy street. Above the second floor in this seven-stories-above-grade mall, almost all the space was vacant. The seventh floor, the restaurant floor, had only a roast duck restaurant. 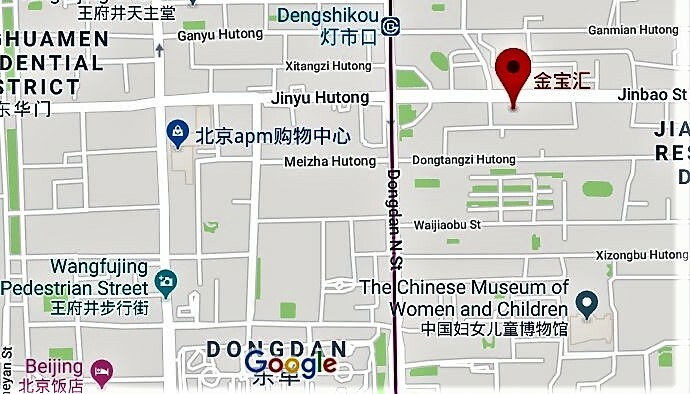 At that time, I thought the problem was that most luxury retailers had already saturated the Dongdan district that contains Jinbao Street and the famed Wangfujing pedestrian mall, anchored by the newly renovated Beijing APM mall, formerly known as the Sun Dong An plaza. There seemed to be an Omega watch store on almost every block. What a difference seven years makes, though. I found the Jinbao Place mall to be at stabilized occupancy. I counted three vacancies and a good number of shoppers. This time I dined at a Japanese restaurant, noticing that their lobster dinner was priced at 2500 yuan (about $350). The famed Wangfujing pedestrian mall, a few blocks west, was at full occupancy, as was the APM mall. This location seems to be at the epicenter of Beijing wealth. The only thing I can witness in several visits to Beijing is its continuing prosperity. So I was wrong about this one in 2011.
https://www.internationalappraiser.com/2017/05/another-appraisal-in-seoul-eminent.htmlMy previous post on this matter spoke of a naturalized U.S. citizen who was having her home seized by the Seoul Municipal Government for a private development project. She was one of a few holdouts who insisted that she was not being properly compensated for her home in downtown Seoul. Both the U.S. and Republic of Korea constitutions and a treaty between the two nations guarantee “just compensation” for citizens who have their properties condemned for beneficial public projects, such as highways and public railways, in a system commonly known as “eminent domain”. This particular case is reminiscent of a famous eminent domain case in the U.S. known as Kelo vs. City of New London, in which the city of New London, Connecticut was attempting urban renewal through the use of eminent domain for a private real estate developer. Mrs. Kelo was the lead plaintiff. The Kelo case went all the way to the U.S. Supreme Court, who decided in 2005 in favor of the city of New London and defended the concept of private takings. The project ultimately failed, returning New London back to its blighted state and costing taxpayers $78 million. The system of reimbursing displaced real estate owners changed in South Korea prior to 1990 due to the rapid appreciation of land prices and values. Rather than compensating property owners according to “market value”, which is the fundamental concept of “just compensation”, the government moved to an “announced price” system that some other governments use to accomplish price controls which effectively avoid paying full market value for expropriated property. The city of San Jose in Costa Rica is an example. This announced price system is known in Korea as the “Officially Announced Land Price” (OALP). The dependent variable that the valuation algorithm solves for is the price per square meter of land area, not building area, because land in Seoul is worth far more than most buildings on it due to the shortage of land. Notice that almost every input variable is a dummy variable. 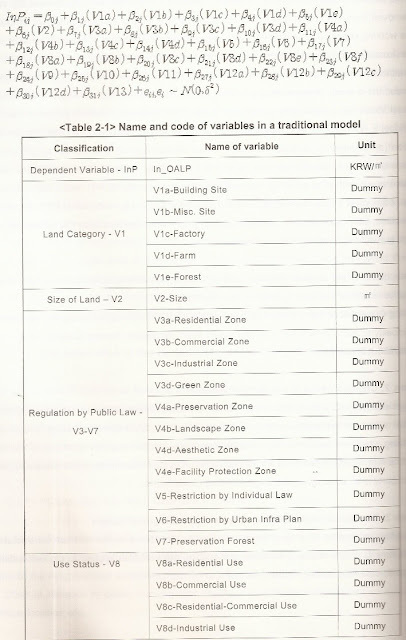 Dummy variables are binary variables with the value of 1 or 0, depending upon the presence or absence of a particular condition, such as being “adjacent to a narrow road”. 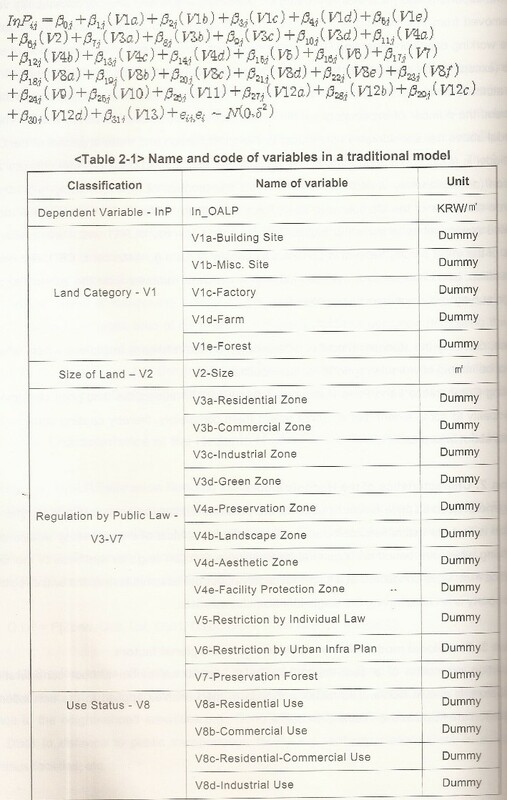 There are only two quantifiable input variables in this model: the land area and the distance to railways or highway. Missing from this model are so many quantifiable variables such as distance to subway stations, distance to shopping, distance to schools, quality of schools, floor area ratio (ratio of building area to land area), and land slope. Since the Ministry of Land, Infrastructure and Transportation is the same Korean ministry that exercises the powers of eminent domain and licensing and discipline of appraisers, there is also an inherent conflict of interest. Per scholar Byungkoo Cho, “when MOLIT perceives a certain compensation amount to have been calculated as excessively high, the appraisers may receive disciplinary actions such as suspension of business or revocation of licenses.”Byungkoo Cho, “Just Compensation in Eminent Domain in Korea: From the Perspective of Fairness,” Eminent Domain: A Comparative Perspective (2017, Cambridge University Press). Nevertheless, MOLIT does measure the disparity between its announced prices and market-based sales transactions, and most recently disclosed that average OALP was only 63.3% of actual sales prices in year 2014, and considerable land price inflation has occurred since then. By my calculation, OALP in 2016 for this neighborhood averaged only 27.5% of sales prices, with the highest reading being 41.5%. Public assessment agencies often conduct their own internal assessment/sales ratio studies (or sometimes sales price/assessment ratio studies) to calibrate their systems. Some masterful studies have been published by the states of Washington and Virginia in the U.S. The Korean client’s lawsuit against the private taking ultimately lost in Korean courts, but the treaty between the U.S. and the Republic of Korea mandates an international arbitration for a U.S. citizen. We expect to be heard at the International Arbitration Centre in Hong Kong. In the by-line of my blog I mention that I have appraised real estate on every continent but Antarctica. This is only due to lack of business down there. 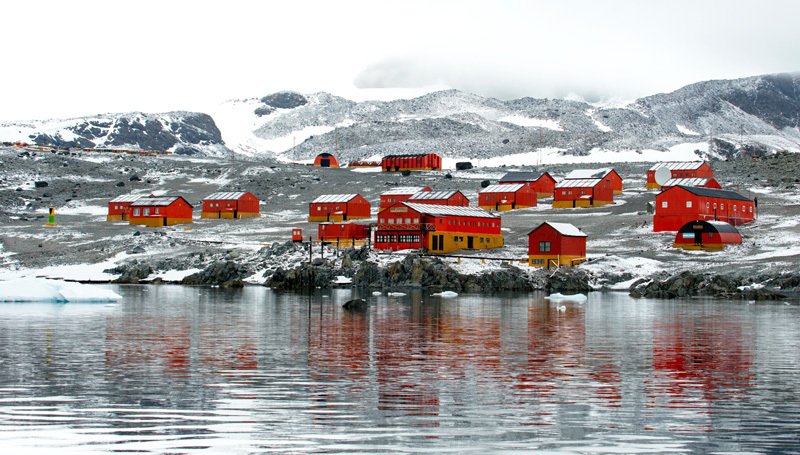 For one thing, there is no civil authority or indigenous people in Antarctica, and thus no property rights. Seven nations had staked territorial claims on Antarctica before the United Nations passed the Antarctica Treaty of 1959, which subsequently prevented any further territorial claims in Antarctica, but allows any nation to establish stations for peaceful scientific research. The seven nations claiming territorial rights are the United Kingdom (who got there first), Argentina, Chile, Australia, New Zealand, Norway and France. Nazi Germany did make a half-hearted attempt to stake a claim by using aircraft to drop giant swastikas as borders to its claim but gave up their claim after their military defeat. The British, Argentinian and Chilean claims are overlapping, though, and some may remember the 1982 war between the British and the Argentinians over their conflicting claims to the Falkland Islands in the South Atlantic, which were populated by 1820 British subjects and 400,000 sheep. Such a war over Antarctica would seem sillier. The year-round total human population is only about 1000, and there is no use fighting over penguins. There are some reasons why there may be no reason for real estate appraisals in Antarctica. First, the research stations are government-owned and would not be subject to property taxes. Secondly, there seems to be no serious active market for trading real estate (except for a few flaky foreign realtors who think they can attract residents). Thirdly, setting up a plat map system is confounded by the fact that most buildings are built on ice on a constantly moving ice sheet which is hundreds of meters thick. The land underneath is worthless and the buildings would constantly moving over multiple parcels. Then, there is the vacancy rate. 62 out of 156 research stations are closed, making for a 40% vacancy rate. They are still owned by their respective nations, but 18 of these stations are technically considered abandoned, many by nations such as Japan, Belgium, the Netherlands and the Soviet Union which perhaps reevaluated their need to be down there. These installations are for the taking. That is the equivalent of no market value. Argentina is the only nation which has established an actual permanent town, Esperanza, as seen above, even flying in pregnant women to have their babies born there to establish some claim of Antarctic citizenship, in an effort to establish some type of territoriality. Military troops are also stationed there. Territorial claims might mean something if valuable minerals or oil are discovered, and the underwater continental shelf could be holding some surprises. Could there some day be another Anglo-Argentine conflict? Although the mid-winter average temperature has increased by 6 degrees centigrade (10.8 degrees Fahrenheit) in the last 50 years, Antarctica remains the harshest environment on Earth. Most of the 4000 people working there in the summer leave before the winter, when the weather is so harsh that planes cannot travel there for several months. There is an estimated 1000 who stay during the winter, but cabin fever can get dreary, and medical emergencies cannot be promptly handled. Some British investors wanted to buy a local factory in Torrance, a city of 150,000 residents in Los Angeles County. This was my second request this year to produce an appraisal report which met RICS Global Standards, also known as the “Red Book”. The RICS is the Royal Institution of Chartered Surveyors in London, providing guidance to the British Commonwealth real estate community since 1868. I spent the first 3 years of my career working for a British firm, Jones Lang Wootton, learning under RICS-trained valuers, one of whom became its international president. But it has been a long time. My first reaction to the request to appraise under both standards was “How much difference could there be between the U.S. and British standards?” I have the 145-page Red Book from 2017 but have not read it in its entirety. I was surprised to find the Red Book to be more comprehensive and explicit than USPAP, the governing standard for the U.S. Worse yet, USPAP (Uniform Standards of Professional Appraisal Practice) continues to get watered down over the years from powerful non-appraisal organizations. The Red Book promotes higher ethical standards. It also encompasses the International Valuation Standards. 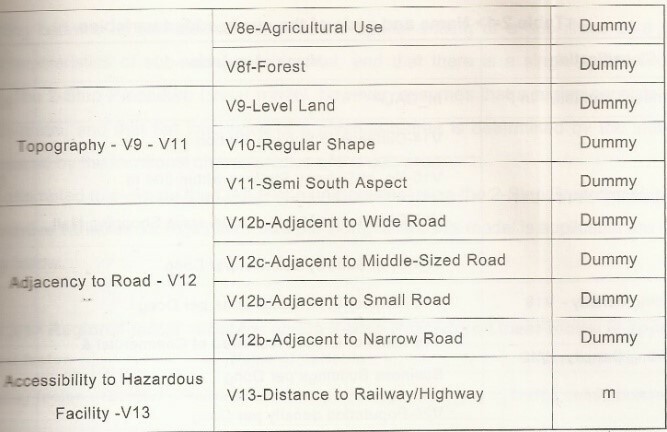 One complicating factor is the Red Book’s reporting requirements based on British vocabulary. The United States and the United Kingdom are two great nations separated by a common language. My many valuation assignments in the British Commonwealth have been awarded partly due to the inability of my American clients to understand RICS reports, so they hire me instead. British terminology such as “basis of value”, “lettings”, “tenure”, “freehold value”, “marriage value”, and “tittle-tattle”, etc., evoke confusion in American minds, getting me hired to travel to England, Scotland, Australia, Fiji, Jamaica, Barbados, Trinidad, Nigeria, South Africa, etc. as a valuer who can communicate in American English. Still, the Red Book and USPAP share the same goal of preventing misleading appraisal reports in order to increase the public trust in appraisal reports. What follows, though, is a chronicle of what happened when the seller hired an MAI to create a USPAP-compliant report and the buyer hired me to do a Red Book-compliant report. Per Red Book VPS 1, I discussed with the British clients the scope of work that they wanted done. Right away they wanted me to be alert to any type of deferred maintenance. That was a fortuitous instruction. "This appraisal should not be considered a report on the physical items that are a part of the appraised property. Although the appraisal may contain information about the physical items being appraised (including their adequacy and/or condition), it should be clearly understood that this information is only to be used as a general guide for property valuation and not as a complete or detailed physical report. The appraisers are not construction, environmental, or legal experts, and any statement given on these matters should be considered preliminary in nature. 24) The observed condition of the foundation, roof, exterior walls, floors, heating system, plumbing, insulation, electrical service, and all other mechanical and constructions based on a casual inspection only and no detailed inspection was made. 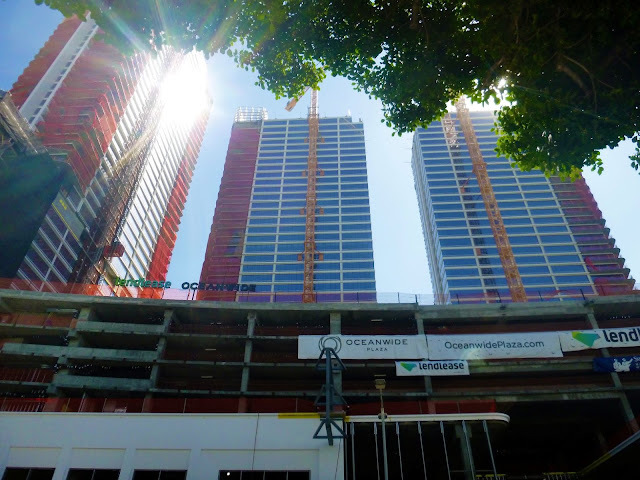 The structures were not checked for building code violations, and it is assumed that all building components meet applicable building codes unless so stated in the report. Because no detailed inspection was made, and because such knowledge goes beyond the scope of this appraisal, any observed condition or other comments given in this appraisal should not be taken as a guarantee that a problem does not exist. Specifically, no guarantee is made as to the adequacy or condition of the foundation, roof, exterior walls, interior walls, floors, heating system, air conditioning system, plumbing, electrical service, insulation, or any other detailed construction matters. If any interested party were concerned about the existence, condition, or adequacy of any particular building or site component, we would strongly suggest that a construction expert be hired for a detailed investigation." Here is a little secret about America’s commercial appraisers: Their average age is about 60 years old, and some are too fat and lazy to climb a metal ladder to the roof of a commercial building. I did, and what I found was a mess up there. This 30-year-old built-up composition roof, designed for a 25-year-life, had a multitude of patches and was spongy to the step, indicating water damage to the underlying plywood. An inspection of the ceilings underneath found plastic wrapped portions filled with stained water, despite more than 3 months without rain. I estimated the cost of repairs to be $133,000. 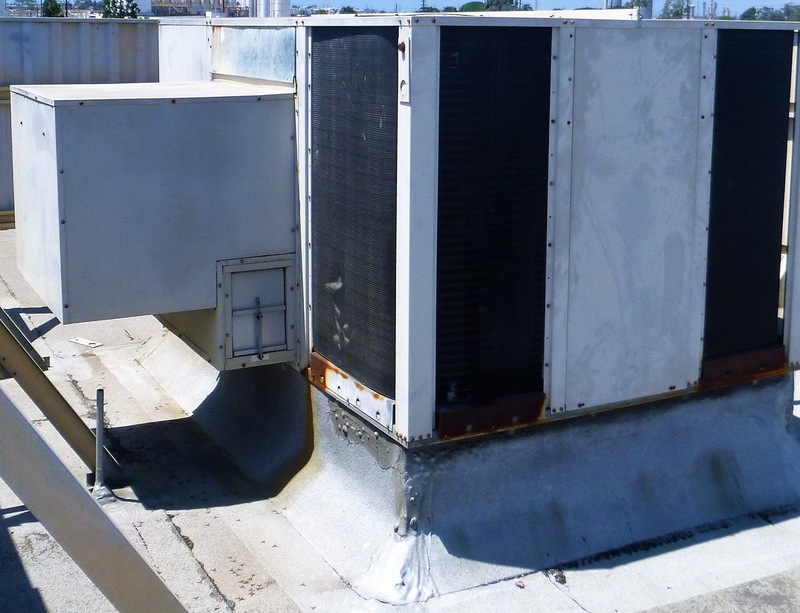 The HVAC equipment was also past its prime, and I estimated replacement costs at $24,000. Although I found 5 industrial property sales in Torrance in 2018, the other appraiser failed to find any of these sales and instead used older local sales and sales from other communities. When I started my private practice 12 years ago, I had an Israeli client that insisted that I inspect every roof, which was good practice. When I later mentioned this on an on-line appraisers forum, I was surprised to be rebuked as unethical, because I was supposedly representing myself as a roof expert; it seems that American appraisers are the proverbial “housemaids that don’t do windows”. Nevertheless, I find it unethical for an appraiser to fail to perform an inspection and ignore obvious damage. I sometimes subsequently advocate a professional roof inspection and let the chips fall where they may. My own philosophy is: “Condition is relevant to value.” It bothers me to see appraisers fail to do their jobs. PS: I didn't think this post would be particularly interesting, but one should read the ensuing comments from angry American commercial real estate appraisers, such as: obviously, I must be a lowly residential appraiser because commercial appraisers do not inspect roofs. Or: obviously, I have a lack of appraisal experience, wait until I have 30+ years of experience. (I actually have 34 years of commercial appraisal experience, yet I still inspect a roof of a commercial building). Or the Houston appraiser who claimed I begged him for a job in the 1990s. This may have happened in the 1980s, but in the 1990s I was the chief commercial appraiser of the largest savings and loan association in the USA (not WAMU). So, if you want your property inspection done right, please call me, not them. Besides, they are all named "Anonymous". More Appraisals in British Columbia: How Helpful is USPAP in Preventing Mortgage Fraud? An applicant for a loan from my client was about to bid on a court-ordered sale of an assortment of foreclosed British Columbian land properties scattered all around the province. The foreclosing lender had been a victim of mortgage fraud, feebly assisted by a supposedly reputable Canadian appraisal firm. The previous owner had manipulated the appraisers into conducting “hypothetical appraisals” with such instructions as “Do not talk to the local government”, “Assume that the properties are rezoned”, and “Assume that all geotechnical reports are satisfactory”. Much of the land was mountainous, and geotechnical reports are needed to forecast the likelihood of landslides. Steep, rocky mountains, heavy rain, and seismic activity are serious concerns in British Columbia, but I will tell you more interesting details later in this post. The prior lender was a private Canadian lender who apparently did not actually read the previous appraisal reports. 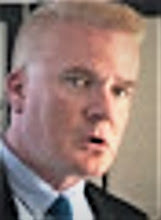 The Canadian appraisal profession has a Uniform Standards of Professional Appraisal Practice similar to the U.S.A., and there were many disclosures and disclaimers in the appraisal reports relating to the Extraordinary Assumptions and Hypothetical Conditions that the client, a purported real estate developer, forced the appraisal firm to use. When the hypothetical conditions were as outrageous as the ones used in these instances, though, the most appropriate action an appraiser can take is to refuse the assignment. Why have your name associated with mortgage fraud? The very definition of “hypothetical” is assuming something untrue to be true. Hypothetical conditions have their place in sensitivity analyses and “what if” scenarios within a real estate organization, but they are completely inappropriate for appraisals submitted to lenders. The fundamental problem is that few people know how to read appraisal reports, and many lenders look only at one number, the appraised value, not reading all of the assumptions and limiting conditions behind that estimate of value. In this case, the appraisals were predicated on assumptions of rezoning, development approvals, favorable environmental and geotechnical reports, and the ability to build homes on a mountainous site. Yet, the appraisers obeyed the instructions not to talk to the local government. They did not even consult the on-line zoning map. 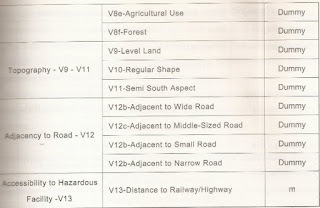 When I am hired to appraise “development land”, the local planning officials are the first ones I call. In the sphere of people appraisers need to talk to, I usually find the planning officials to be the most helpful and honest. The added benefit is if the development plan has been rejected or not even submitted, that shortens my appraisal assignment. As for geologic issues, the previous owner had disingenuously hired a geologist to perform a geotechnical study on only the flattest parcel of the parcels that he was financing. 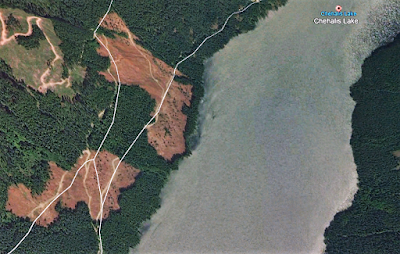 The geotechnical report indicated the chance of a landslide as less than 1 in 500 years, but for only that flat parcel, but the owner tricked the lender into thinking that all the parcels pledged as collateral were safe from landslides. This led to unrealistic assumptions. But wait! 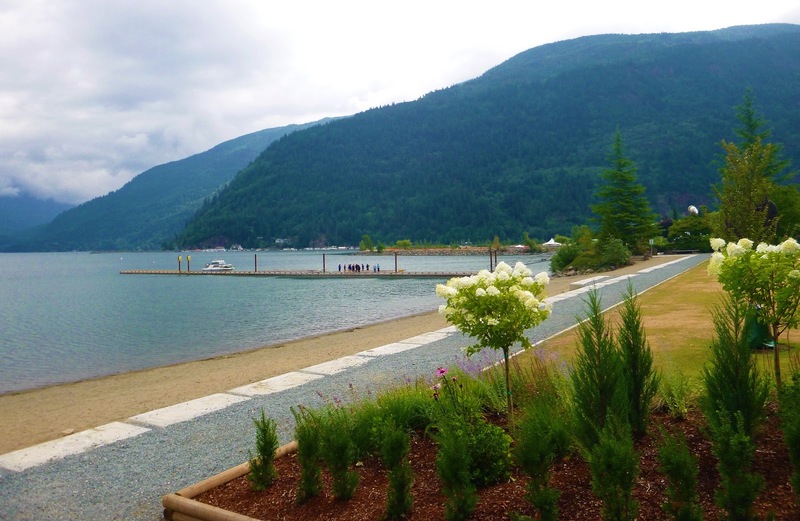 Many of the properties were situated at the southern end of Lake Harrison, a lake surrounded by mountains, the largest of which is Mount Breakenridge, 7858 feet in height, which is being monitored by geologists for its increasing unstable rock slope. When large parts of mountains fall into a lake, a “megatsunami” is triggered, flattening lakeside communities. In December 2007, for instance, Lake Chehalis, a much smaller lake a few miles west of Lake Harrison, had a 600-foot tall rock face of a mountain fall into the lake and trigger a tsunami that created a wave so high that trees up to 124 feet above the lake were flattened. Fortunately, there were no communities on Lake Chehalis, and no one was camping there in December. 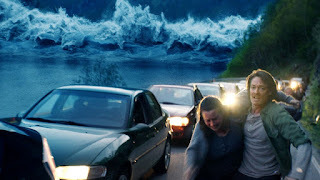 A graphic example of this phenomenon can be seen in Norway’s first disaster movie, “The Wave”, a fictional story of the exact same phenomenon and the loss of life it can create. Norway did lose a whole community to a megatsunami in a fjord back in 1934. Nevertheless, the client was just offering a one-year bridge loan, and these types of geologic events are seldom and do not appear to be affecting real estate markets, which is all that an appraiser is supposed to measure, so this geologic phenomenon did not go into the report. After all, I live in southern California, where the “Big One”, the most powerful earthquake that will occur in California history, is predicted by scientists to occur in the next few decades, but this has not deterred the southern California real estate market from reaching all-time high prices in many places. Heavy presence of food and beverage operations. The developer is also a restaurant supplier. The goal of the EB-5 regional center was to develop a 78-acre commercial center (“Imperial Center”), in the unincorporated town of Heber, in Imperial County, California, containing over one million square feet of building area, mostly focused on retail, wholesale and food and beverage operations, with a hotel, cinema, and public space. There are 135 Chinese investors who have supplied $67.5 million in funds in order to secure a U.S. green card. The first phase of the center, which was an ARCO gas station and AM/PM Minimart, has been successful. The second phase consisted mostly of food and beverage operations, including 4 restaurants and a nightclub. All are open now. The third phase has not started, and an aerial map from March 21, 2015 shows no further development since that time more than 3 years ago. On May 11, 2018, Imperial County filed a complaint against Pacificland International Development, the company operating Imperial Regional Center, and its Chief Executive James Lo after failing to make first payment on a $2.2 million loan from Imperial County’s Community Benefit Program, failing to pay property taxes of $252,700, failing to pay contractors $354,000, and having $607,000 in liens placed against the property. On May 24 Judge Jeffrey Jones granted the county’s request to appoint a receiver to take possession and control of Imperial Center. An aggrieved Chinese investor hired me to investigate the situation and do background checks on CEO “James” Chun Nan Lo and his wife. Both had three “unspecified” criminal convictions in Riverside County, California, but more investigation was needed to determine if their crimes were relevant to being entrusted with $67.5 million in investor funds. Mr. Lo also previously had a tax lien from the State of California as well as a civil judgment against him. Their main home was also in loan default from 2009 to 2012, when they were running this center, and then their loan problem went away. Mr. Lo also owned several other companies, one of which is “Veggie & Tea House”. A “Veggie and Tea House” truck was on site during my inspection, making me believe that he and his wife were the restaurant suppliers to the center, a possible conflict of interest, and maybe the reason why this fledgling center already has 5 food and beverage operations. If Imperial Regional Center is not paying its loans or property taxes or contractors, perhaps some of its income is being diverted to the Lo family through Veggie & Tea House. The attorney writing the complaint for the cheated investors is Jing Wang, Esq., Kingswood Law, Diamond Bar, California. Is this the City of Hope? An attorney retained me at the request of a skeptical investor in this EB-5 project sponsored by the America FX Regional Center, LLC, approved as an EB-5 regional center in 2016, well after it was understood that there was an ethical crisis in the EB-5 regional center industry. I was supplied with an initial Offering Memorandum, dated 6/1/16, and a restated Offering Memorandum dated 4/24/17 for the project "FX Boutix Duarte EB-5 Lender". 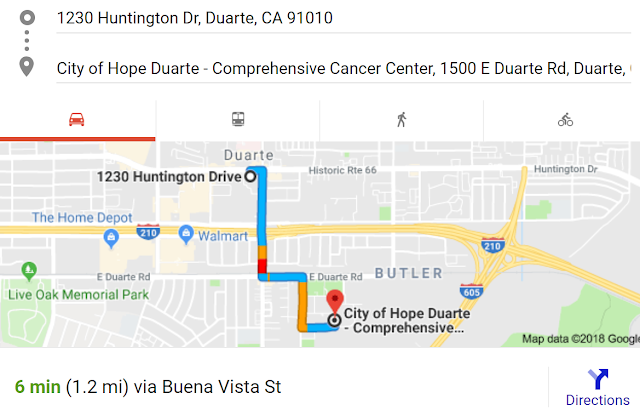 The goal of the offering was to develop a 318-room FX Boutix hotel across from the City of Hope, one of America’s top ten cancer research centers, in the middle-class Los Angeles suburb of Duarte, California. The total project floor and parking area was to be 445,000 square feet. So far, they have received more than $53 million from 96 Chinese investors, but have never received development approval for their oversized project, and the development application was withdrawn several weeks ago, according to City Planner Jason Golding. 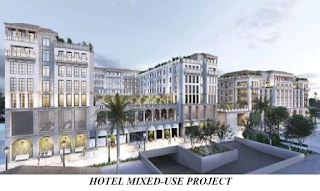 The principals of this EB-5 regional center are Sherry Ho and Alvin Tzuen-chung Ho, former chairman of the Chinese hotel firm FX Hotels Group. He is also known as Hou Zunzhong, depending upon whether the name is pronounced in the Mandarin or Taiwanese dialect. The FX Hotels Group is a hotel corporation traded on the Taipei Stock Exchange, but with almost all its hotels based in the People’s Republic of China. This corporation has lost 95% of its share value since the beginning of 2014. 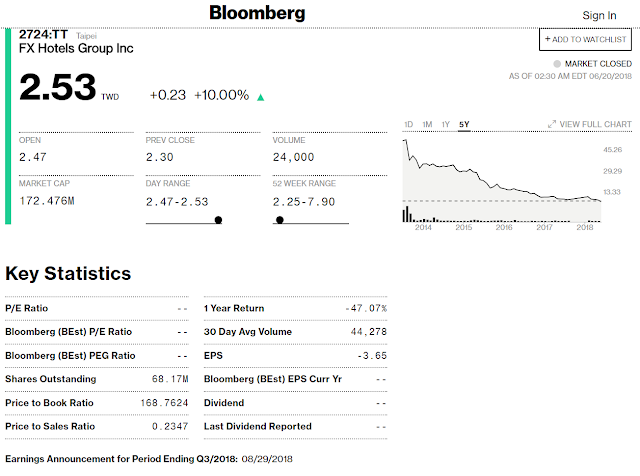 As of today’s closing share price of 3.05 Taiwanese New Dollars (worth about 10 U.S. cents), this company’s market capitalization is equivalent to about 6.3 million U.S. dollars. One Asian stock analyst joked that FX’s only success was taking Taiwanese money and dumping it into bottomless pits in China. Here’s the chart action in recent years, and consider that one U.S. dollar is approximately equal to 30 Taiwan New Dollars. 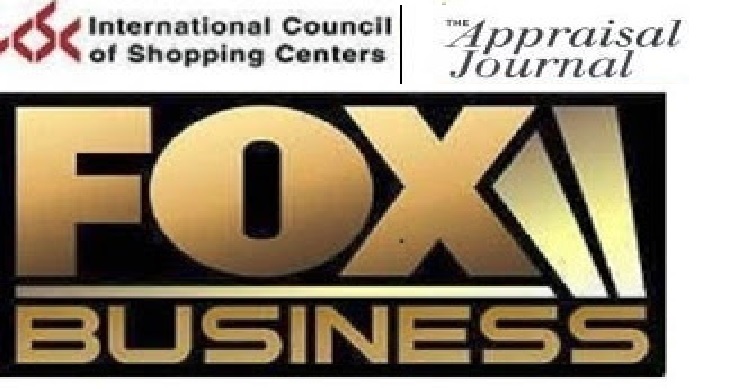 It seemed that the Mr. and Mrs. Ho misled investors in the America FX Regional Center by stating that Mr. Ho’s family owned the FX Hotels Group and that FX Hotels Group was interested in foreign development. Most of FX Hotels Group is owned by other Chinese hotel corporations such as Furama and Fu Lihua. Almost all FX hotels are in China. The second Offering Memorandum for America FX Regional Center has no mention of Mr. Ho or any affiliation with the FX Hotels Group. This might be because Mr. Ho was fired in spectacular fashion at an FX shareholders’ meeting on 3/28/17, after another year of losses, which was video recorded and published on the China Times web site, including police called in to quell Mr. Ho. http://www.chinatimes.com/realtimenews/20170406001317-260410 He had not been notified in advance that he was going to be replaced on the spot by the leading shareholders. Meanwhile, a new, restated Offering Memorandum for the America FX Regional Center was published less than a month after his ouster, and there is a disclaimer that investors should not expect FX Hotels Group to manage the property. 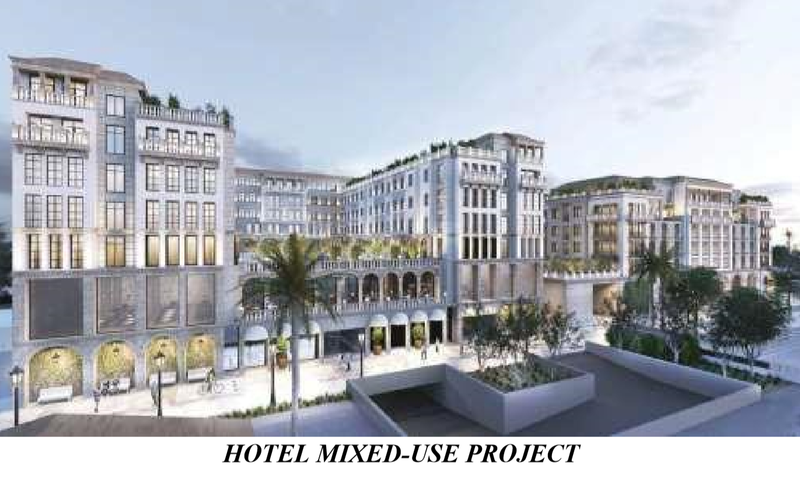 The most outrageous inaccuracy in the Offering Memorandum, stated on page 2, is the claim that the hotel would be built across the street from the City of Hope Medical Center, which includes a 217-room hospital with 40 extra rooms for visiting family members. Most patients are cancer patients. 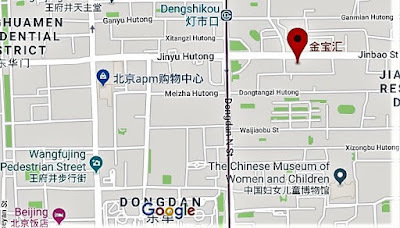 The City of Hope is actually located 1.2 miles from the location of the hotel project, as measured in the Google Map below. The gold and red colors along the route indicate traffic bottlenecks due mainly to shoppers patronizing Wal-Mart and Home Depot in the immediate area. Visiting investors must have instead been shown the closed Santa Teresita hospital across the street behind the discount retail center anchored by “Dollar Tree” and “Smart and Final” stores, shown in the top photo. Santa Teresita surrendered its surgical/acute care license in 2004, and the 5-story building in the background is composed of offices and vacant space, but there is also an adjacent 131-room senior care home. 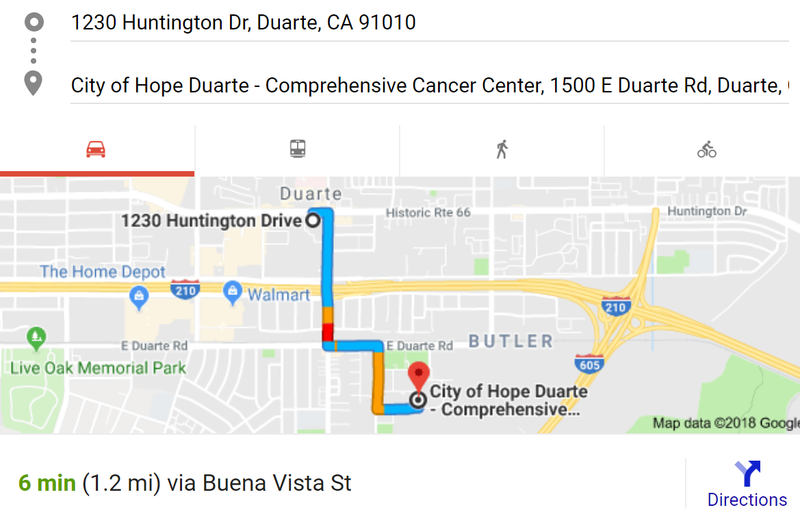 In terms of locational advantages, this project is also a miss because it is not located on the Gold Line light rail system serving the San Gabriel Valley, including a stop for the City of Hope. The nearest west stop on the Gold Line, Arcadia Station, includes several all-suite hotels such as Springhill Suites, Hilton Garden, 2 Extended Stay Americas, Residence Inn and Doubletree, all with a better restaurant selection than Duarte offers. Visiting families would not need to rent a car or deal with the Duarte traffic jams associated with Walmart and Home Depot. 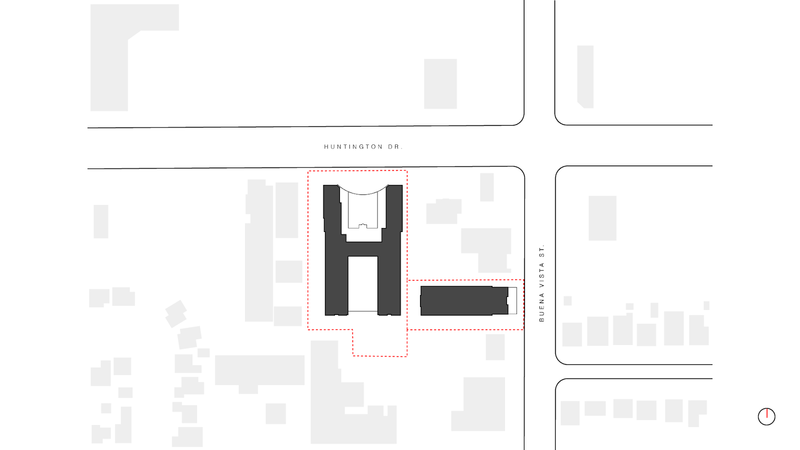 The subject hotel project, on the other hand, is not located on the light rail line. The attorney writing the complaint for the cheated investors is Jing Wang, Esq., Kingswood Law, Diamond Bar, California. She also successfully litigated against the California Investment Immigration Fund, also previously reported on this blog.